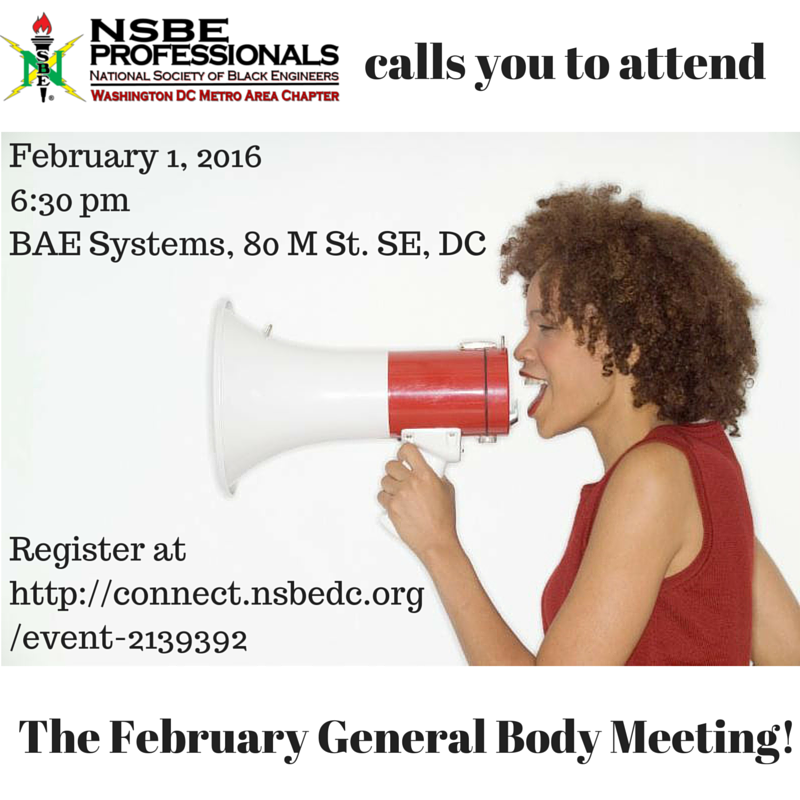 Join us Monday, February 1, 2016 for our General Body Meeting at BAE Systems, 80 M St, SE, Washington, DC 2003 from 6:30pm-8:30pm. A Treasurer's Report and a State of the Chapter will be presented, followed by committee breakout sessions for brainstorming and check-ins. Register today and we look forward to seeing you on Monday! Support our partnership with S.O.C.K.S. (So Others Can Keep Striding) campaign by new socks and hygiene products for the homeless! You are encouraged to bring new socks (men and women pairs, preferably long ones) and hygiene items (toothpaste, lotion, etc) to our GBM! General Body Meetings are free for members and non-members alike! For questions or concerns, please contact the NSBE DC President, Yinka Ajirotutu at president@nsbedc.org.